LMAC Photography enjoys photographing all types of family/lifestyle sessions. One of those is the senior portrait session. Senior portraits are especially fun because it signifies the transitioning of a child to adulthood. 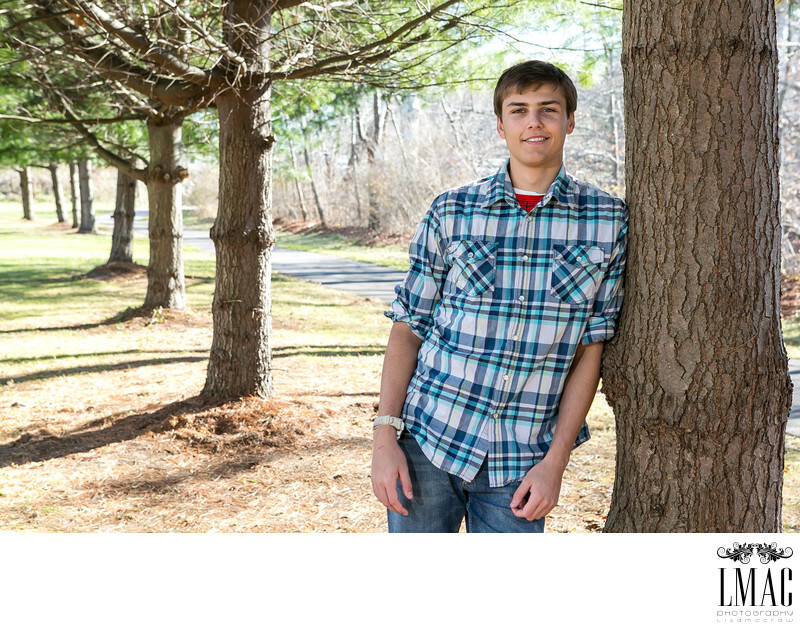 Each session is stylized since it's important to bring out the personality and interests of each senior. They are typically photographed on location but sometimes parents will request that both location and studio portraits are included in the shoot. We are more than happy to accommodate this request...our studio is located in Wadsworth, Ohio. This particular senior went on to join the US Marine Corps. He had a special interest in super heros and they were incorporated into the shoot. The location portion was shot at Brust Park, located in the Akron Ohio area. Location: 128 N Main St, Munroe Falls, OH 44262.